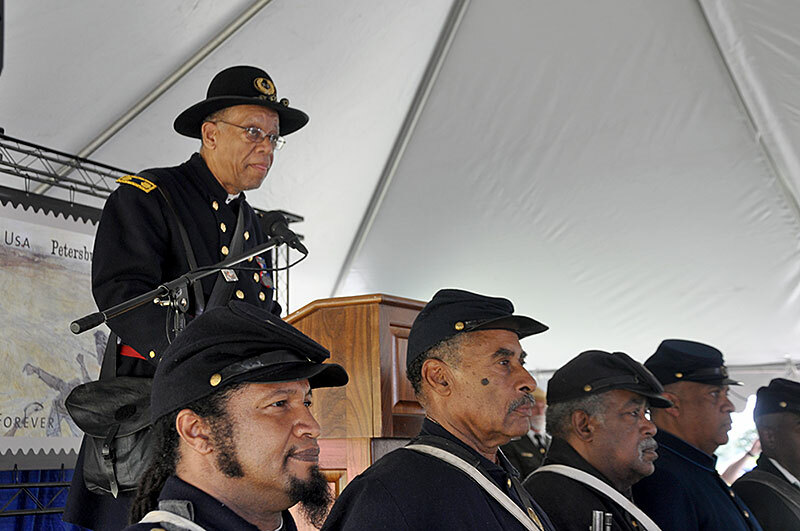 Members of the 54th in front of the stage during the ceremony. 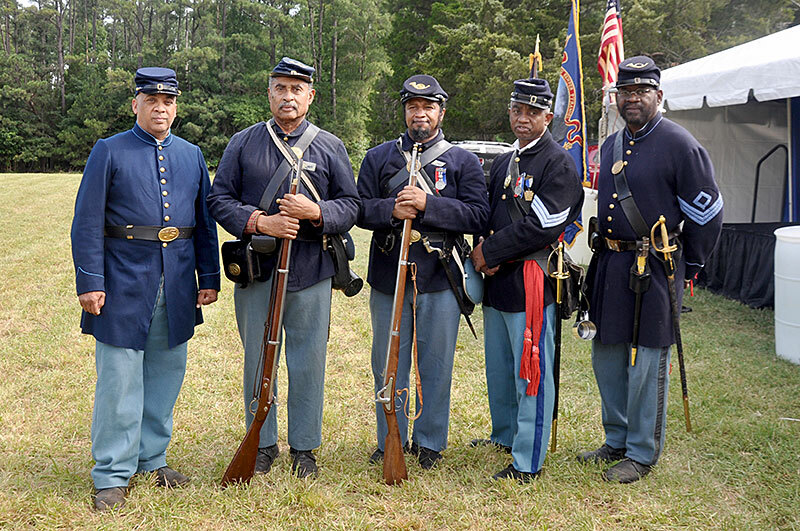 Members of 26th U.S. 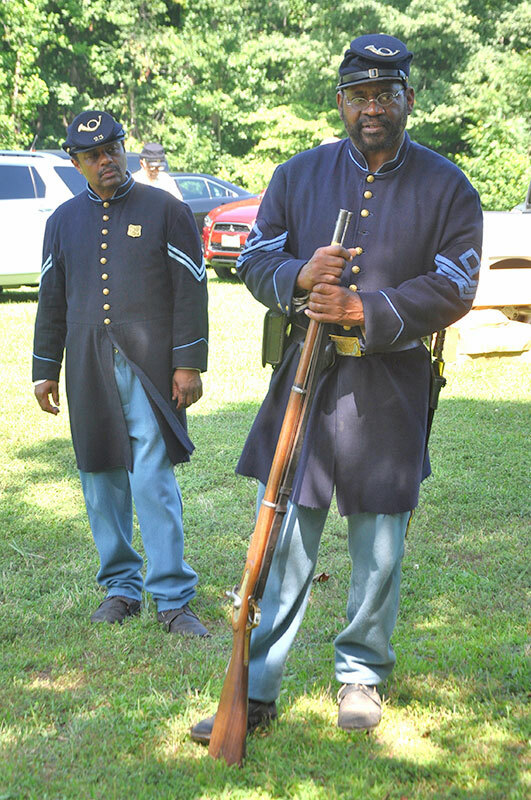 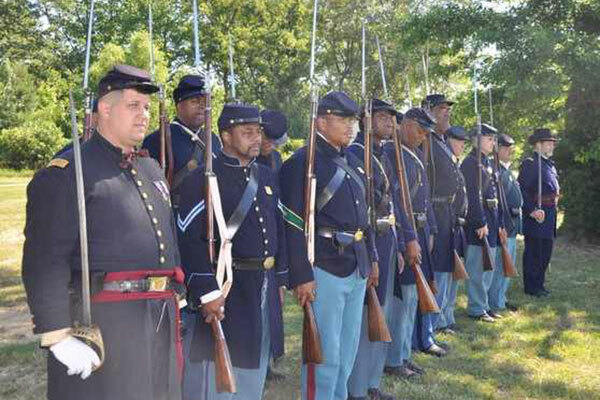 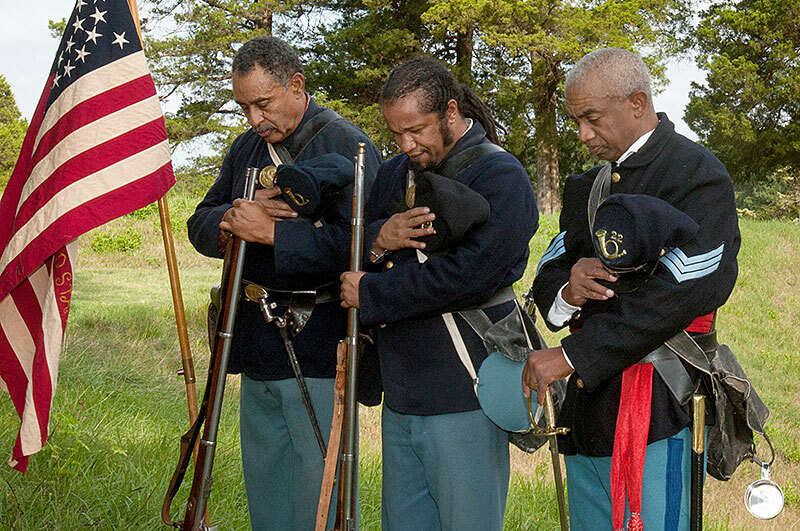 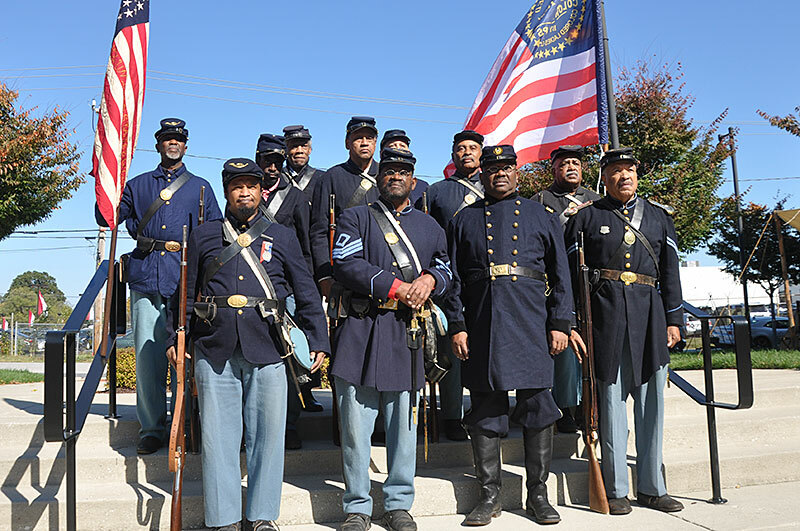 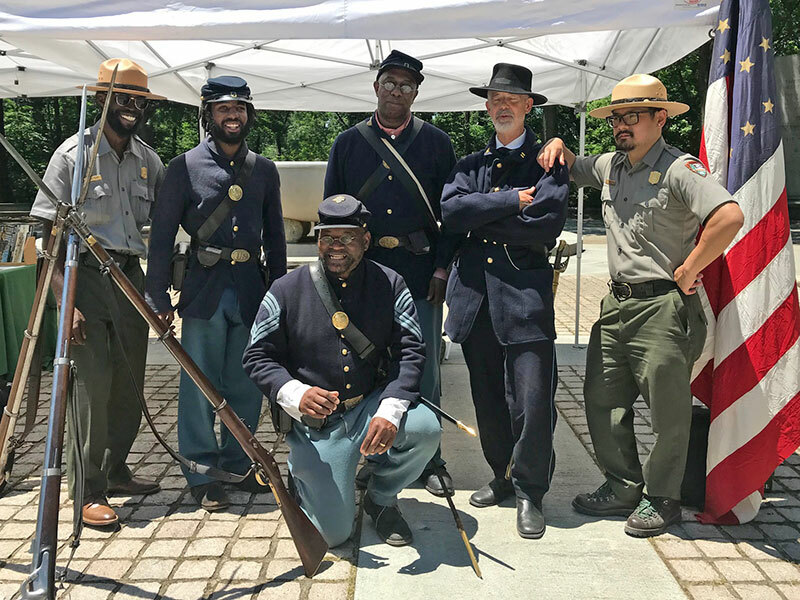 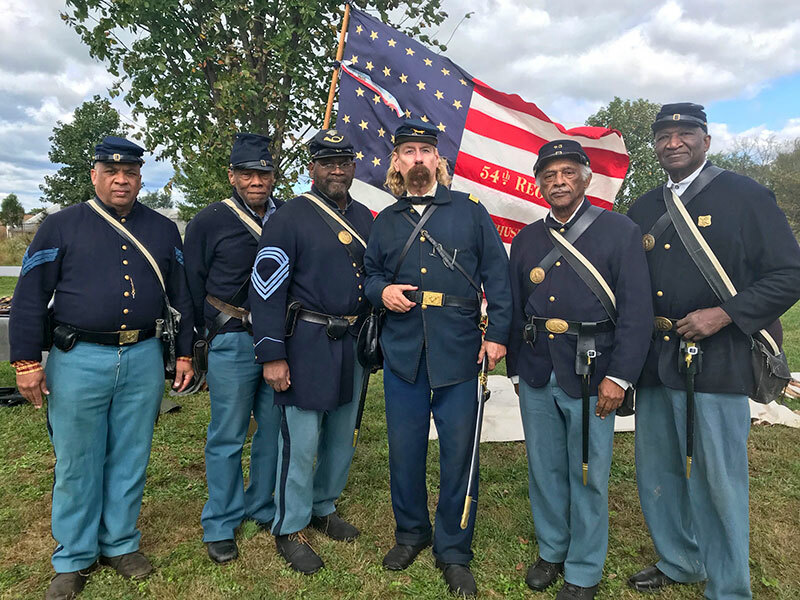 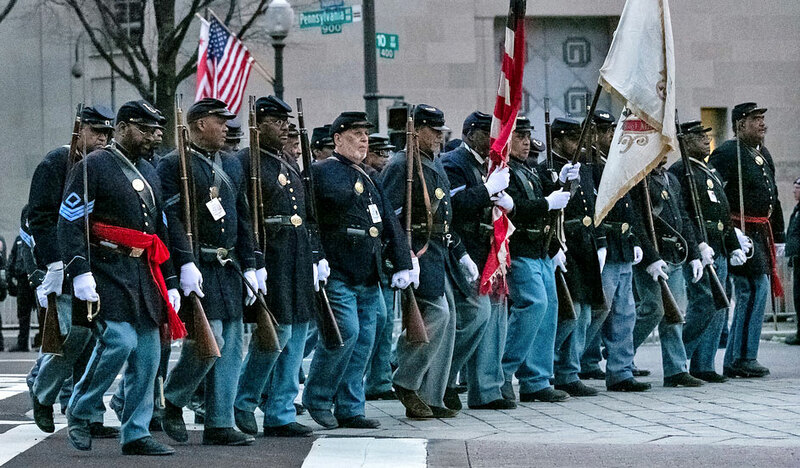 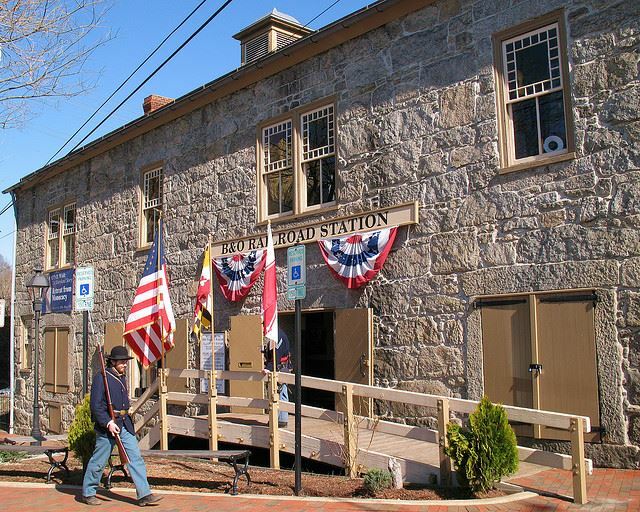 Colored Troops and 54th Mass. 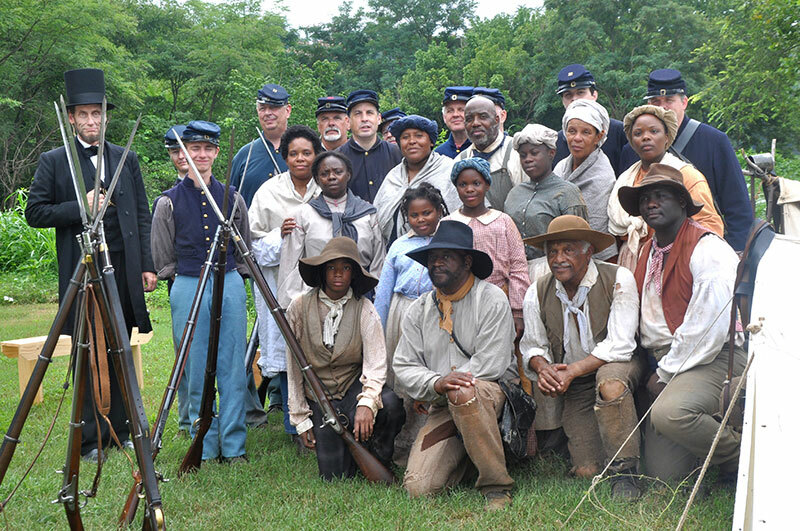 Company B. 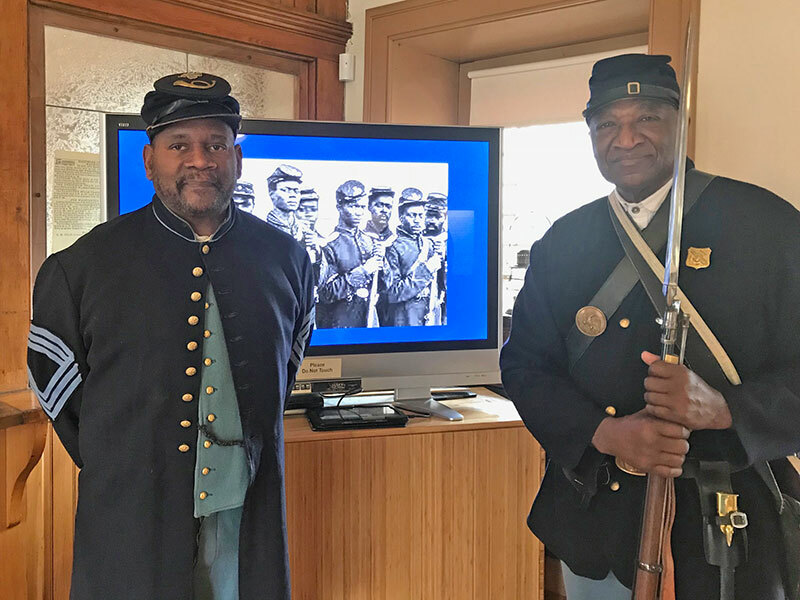 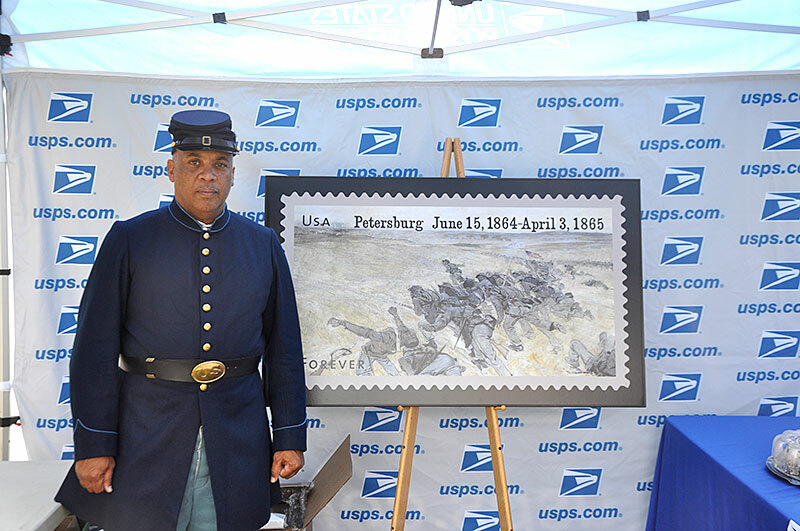 Member of the 54th Massachusetts posing with the stamp. 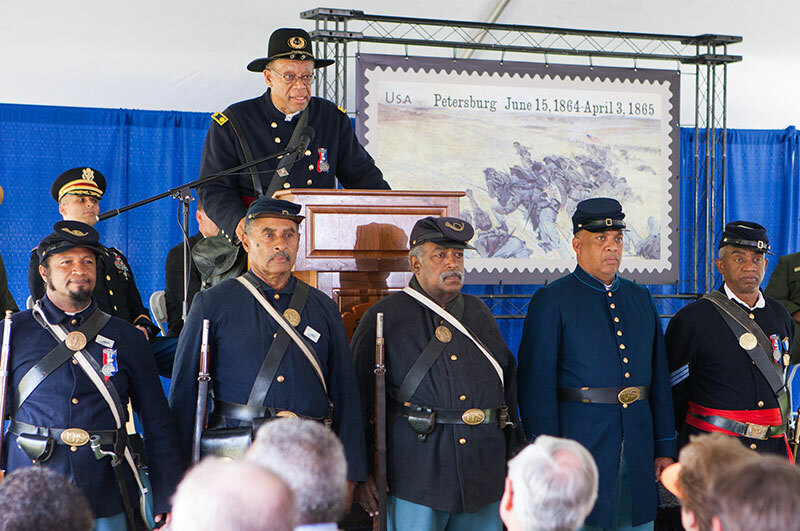 Dr. Malcolm Beech speaking at the ceremony. 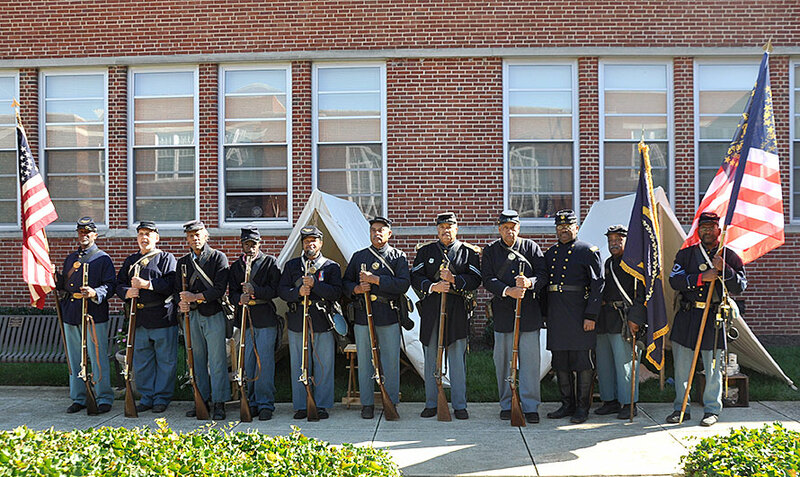 54th Massachusetts Company B and 26th U.S. 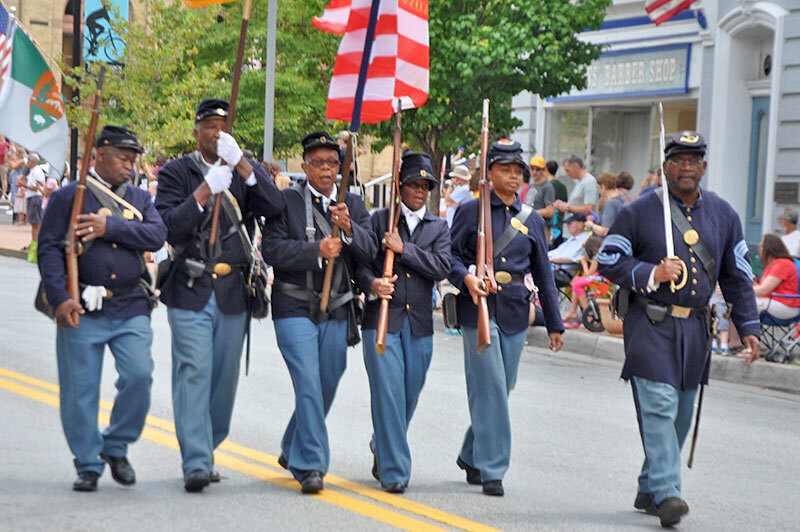 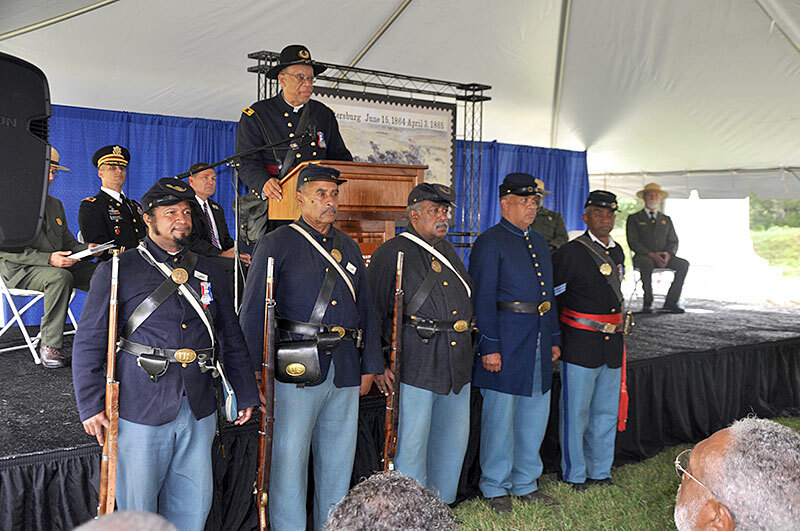 Colored Troops at Annapolis Emancipation Day. 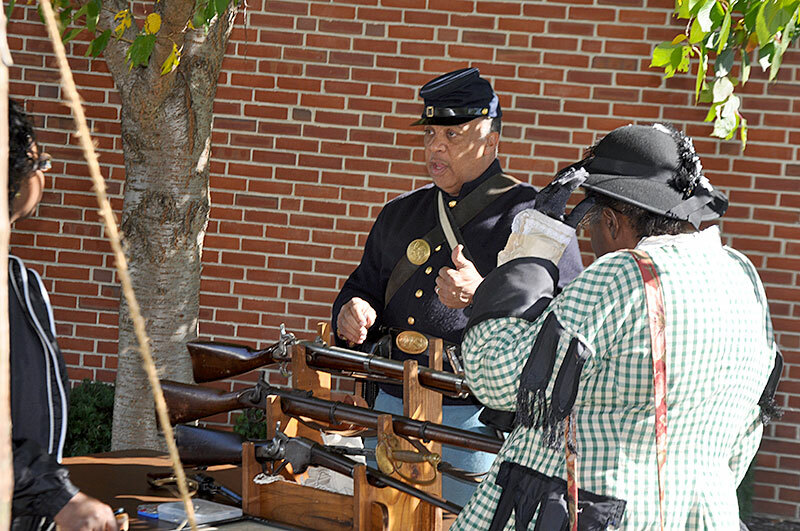 Members of 54th speaking on weapons used. 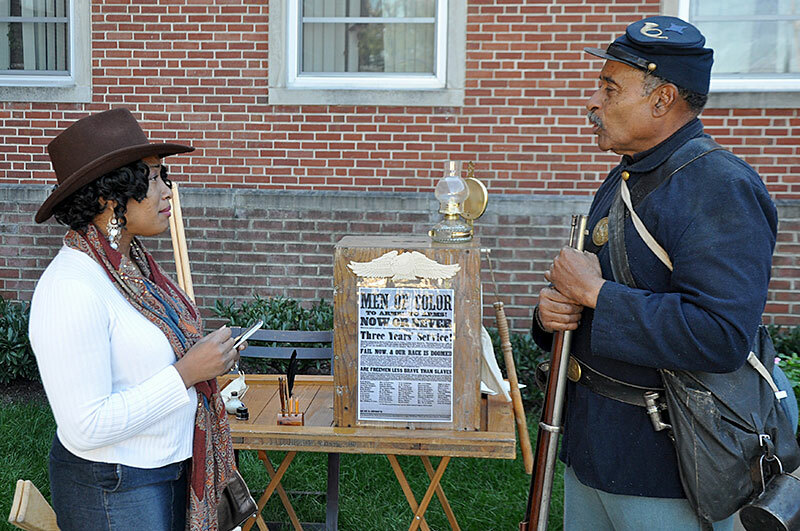 Member speaking on why men joined.